MemberConnect pairs members together for the purpose of offering expertise, support and assistance. Mentees are asked to share a specific goal and are then paired with qualified mentors to help guide them toward attaining that goal. Mentees and mentors are women of all ages and experience levels from diverse industries and backgrounds. 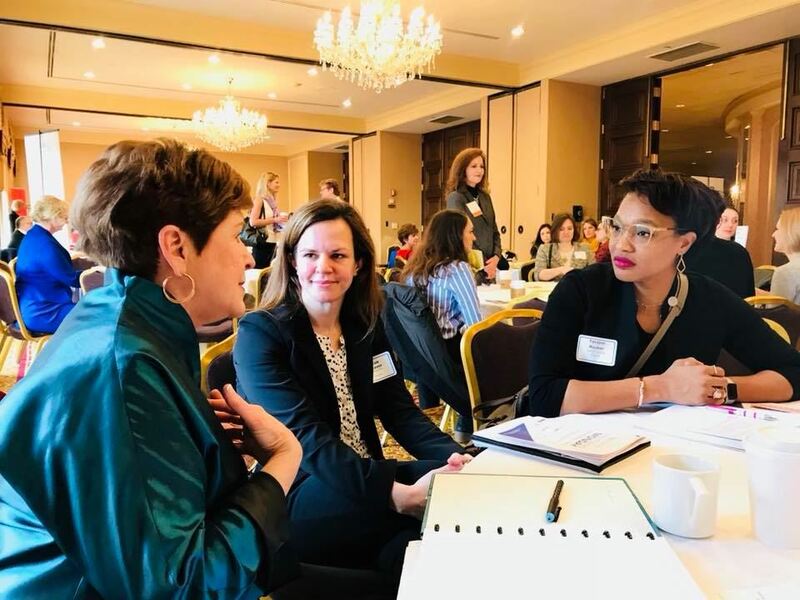 In addition to pairing you up with a mentor or mentee, the Mentoring Program Committee will provide you with articles, surveys and other tools to aid you in your MemberConnect relationship. Although the program has an end date, the goal is to build a lasting relationship with a fellow PD member. Members of any age can sign up as either mentors or mentees. If you have something to offer or something to learn. Registration for the Winter Session opens in October. If you have any questions, please contact Mary Piwaron or the PD office. I need guidance in a new project I am working on. I need help learning how to use social media for work. I am new to the area and would like help building a network. I am struggling with work/life balance. I have a challenging management issue and need advice. In 2018, we launched MemberConnect: Summer Edition for those who want to meet fellow members, but aren't ready to commit to a mentoring relationship. In this new program, the Connection Committee will select three members for you to meet over the summer. We will work hard to make sure you are connected with members you don't already know. The purpose is simply to get to know each other!.